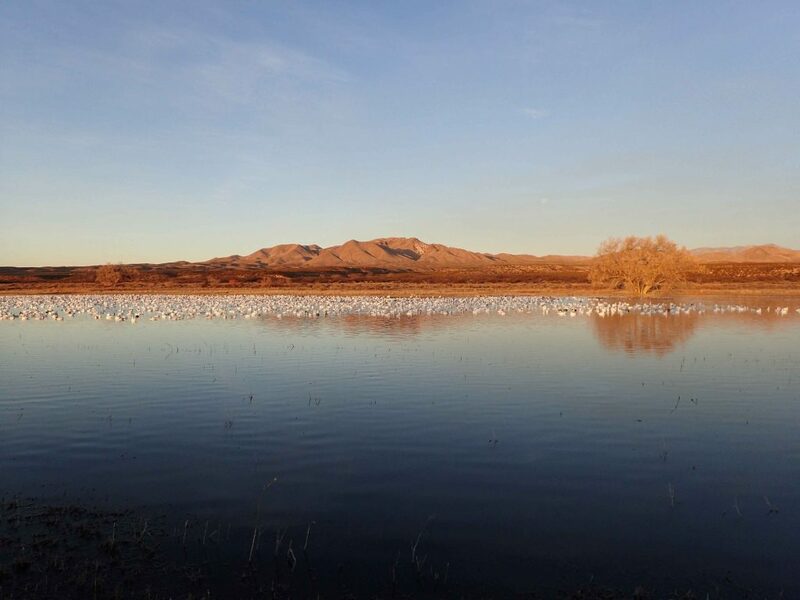 I came back down from the mountains and stumbled upon a a birding experience at Bosque del Apache; often labeled as the best in the country! WOW! I took the image above within 10 minutes of entering the refuge. I couldn't believe I nearly missed this place. 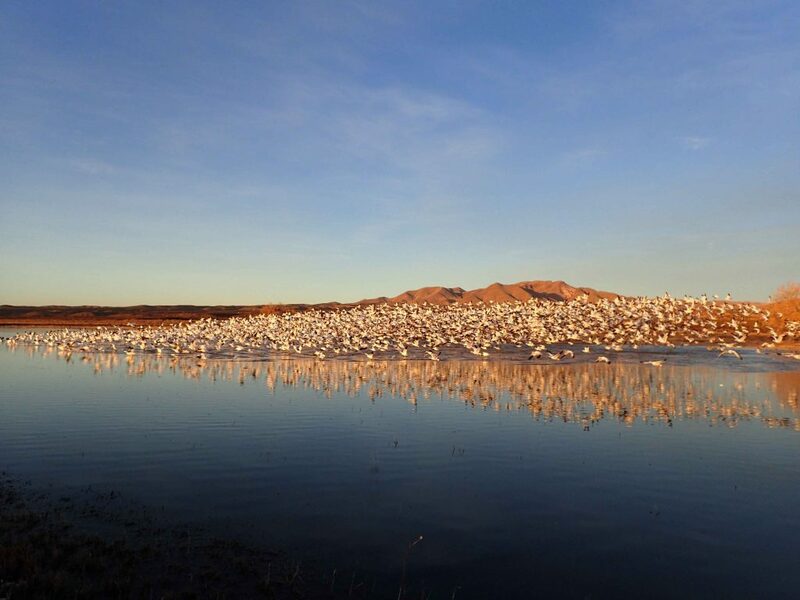 People from across the country and world come to visit the spectacle of birding at Bosque del Apache National Wildlife Refuge. I didn't know what to expect after that! 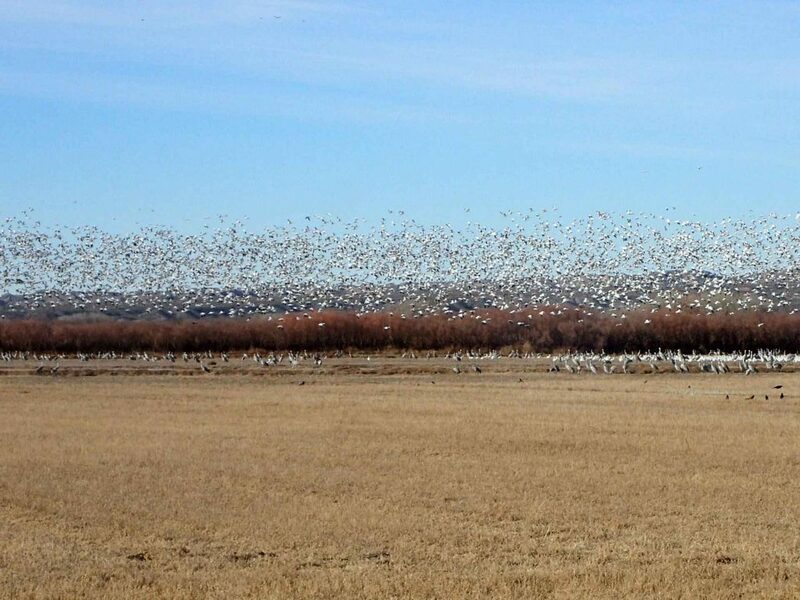 It was like I was in the Serengeti of Birding in North America. I briefly stopped by the visitors center who provided me with a map and information about birding and set off on the park loop. The fly-out was the best thing I saw all day but I encountered several other incredible finds. 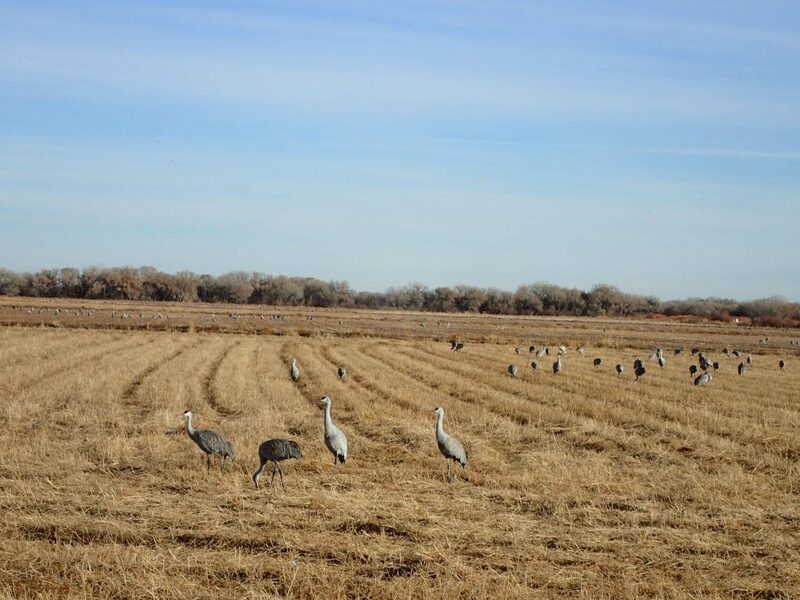 Like Snow Geese, Sandhill Cranes are gregarious and noisy! 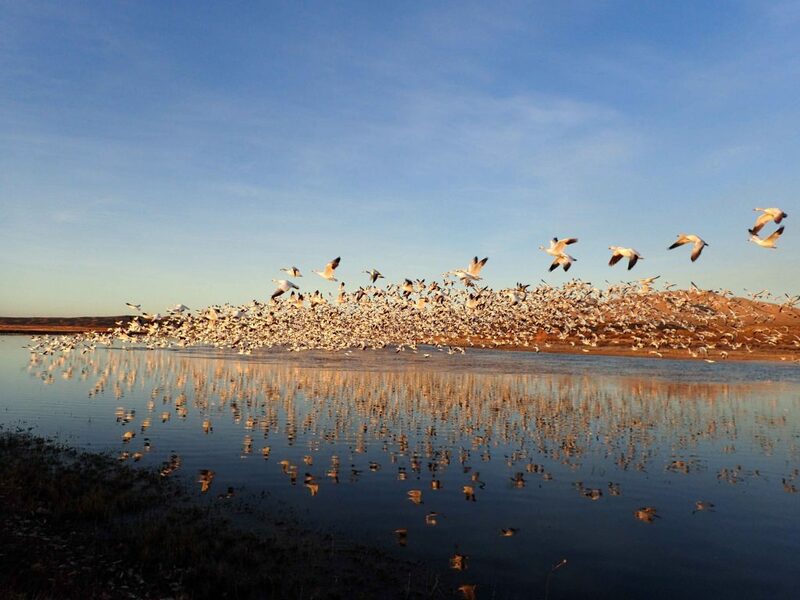 In the fields of the Bosque, the congregated in tremendous numbers. There're neither uncommon nor limited to New Mexico but I've never seen them in such large numbers outside of here. Birds of prey were everywhere as well but none were more prominent than the beloved Bald Eagles. 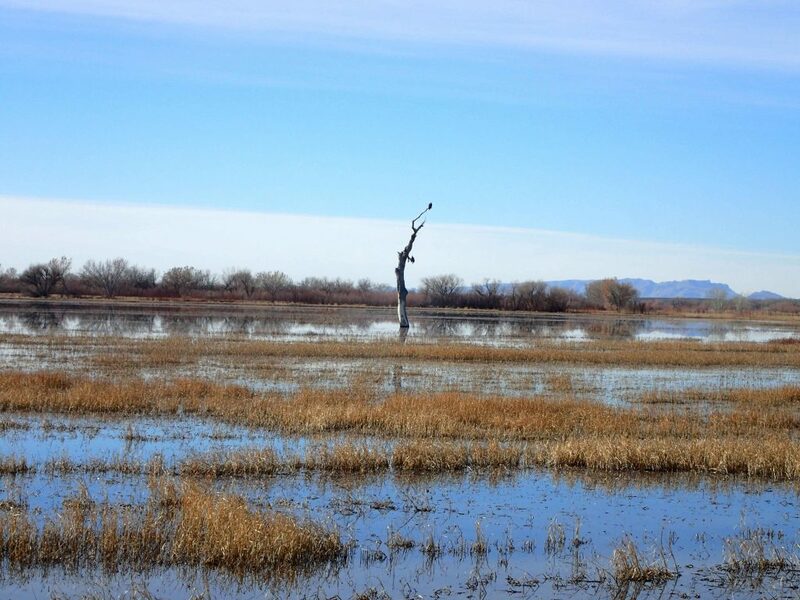 They tended to perch high on cottonwoods or the denuded heights of dead trees, scanning for prey. 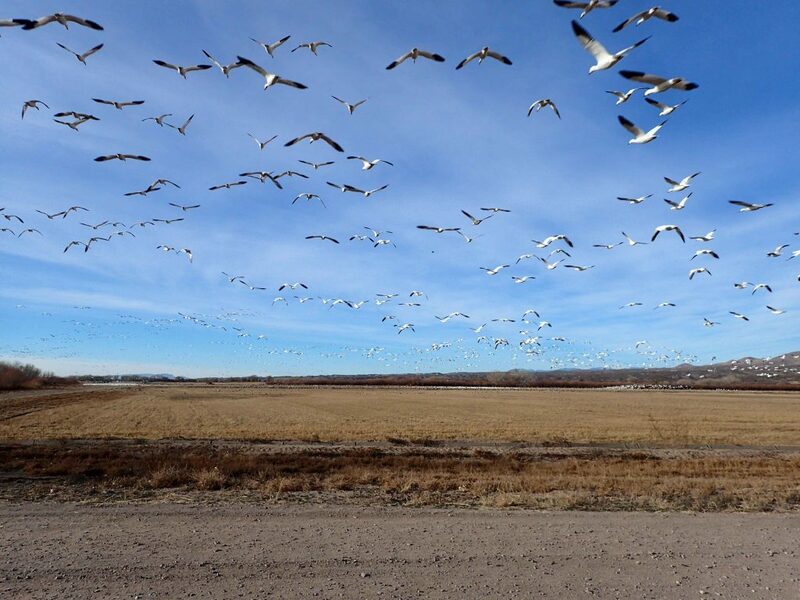 I assume that they spooked a number of flocks when they would all take off at once. I'm sure this lead to considerable bird-anxiety. The preserve can be seen in about 1/2 a day but many spend weekends or entire weeks at this place. 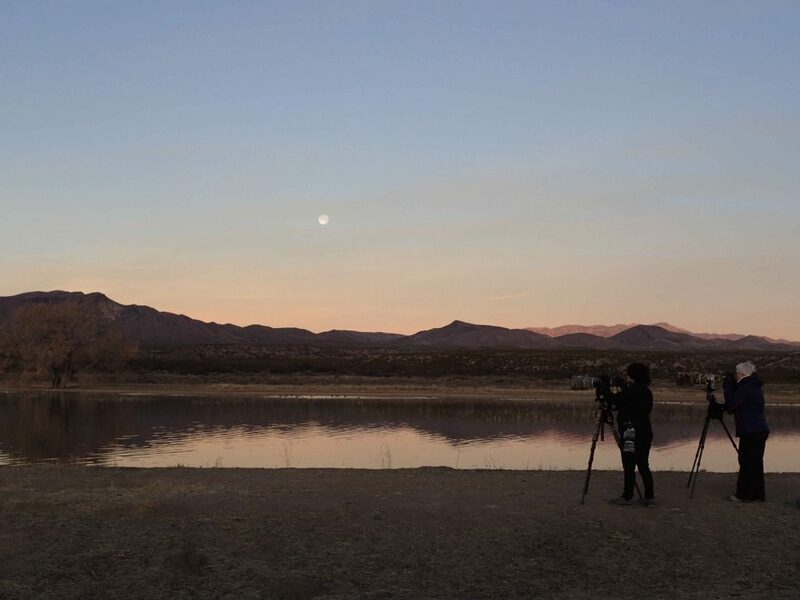 There's several campgrounds nearby and hotels along the I-10 freeway. When I come back, I hope to spend time photographing the birds with a serious telephoto lense or perhaps visit during a different season. 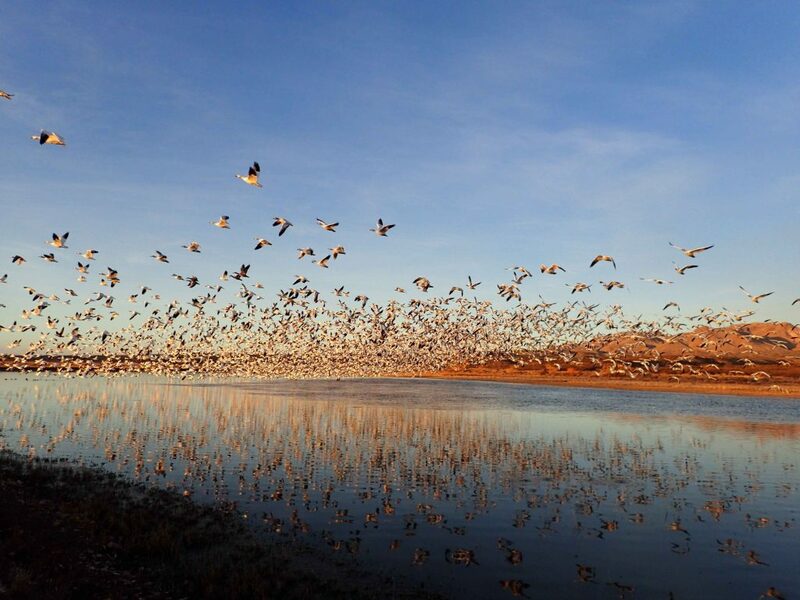 The winter fly-outs are something every New Mexican should see in their lifetime but I wished I could come back here once a month to see how the seasons of life change at this Wildlife Refuge Onward to Albuquerque!